CPSC 4381 3D Animation for Computer Graphics is the second course in a two-course sequence that students typically take in the fall (CPSC 4380) and spring (CPSC 4381) semesters of their junior or senior year. It is a required course for students majoring in Computer Game Development. CPSC 4381 is an introductory course in 3D animation techniques for use in real-time computer graphics applications with an emphasis on computer games and character animation. Both modeling and programming techniques using C++ are covered. Topics include rigid versus non-rigid body animation, skeletal methods, morphing, kinematics, animation blending, key framing, time coding, motion capture, lip sync, synchronization methods, animation file formats and a survey of current software tools and techniques. Previous 3D modeling experience in Lightwave is recommended. Previous programming experience in Java or C++ is required (see Prerequisites, below). Students can work in the game laboratory on campus or use their own personal computers for this course. Besides providing students the skills needed to animate 3D models and characters for games, the knowledge gained from this course is readily adaptable to other industries that may require 3D animation. It is also an advantage for a game developer to have a solid understanding of animation techniques from an artist perspective to better facilitate communication between programmers and artists on a game development team. Students completing this course are encouraged to add videos of their work in the course to their portfolio. While the course is primarily a programming course, the programs generated will often produce very interesting videos that students can use to enhance their portfolio. A portfolio of work is very important when seeking a job in the game industry since it demonstrates a student’s knowledge and skill. Construct 3D models with appropriate rigging for use in real-time 3D animation. Produce software that demonstrates morphing animation. Produce software that demonstrates rigid body animation of hierarchical 3D models. 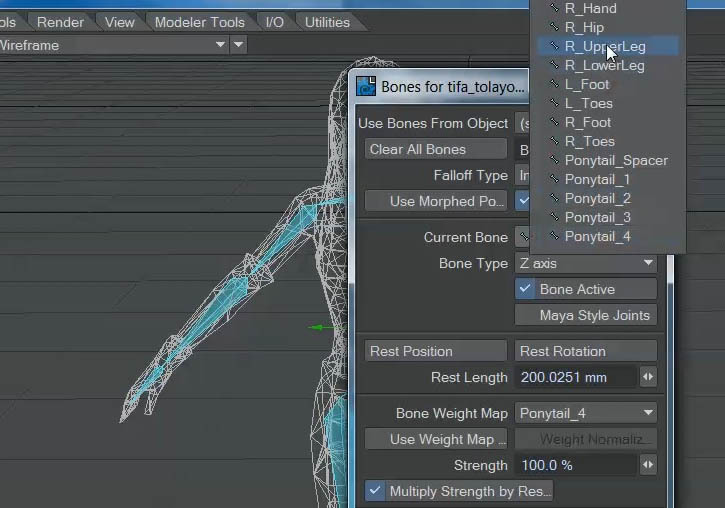 Produce software that demonstrates non-rigid body animation of skeletal character models. Combine animation sequences using real-time blending techniques.